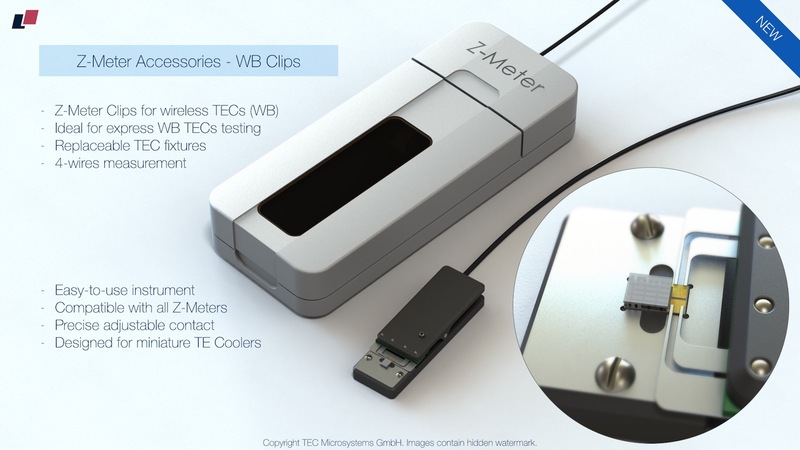 Z-Meter Mini DX4095 mode is a portable tester for thermoelectric coolers express analysis. 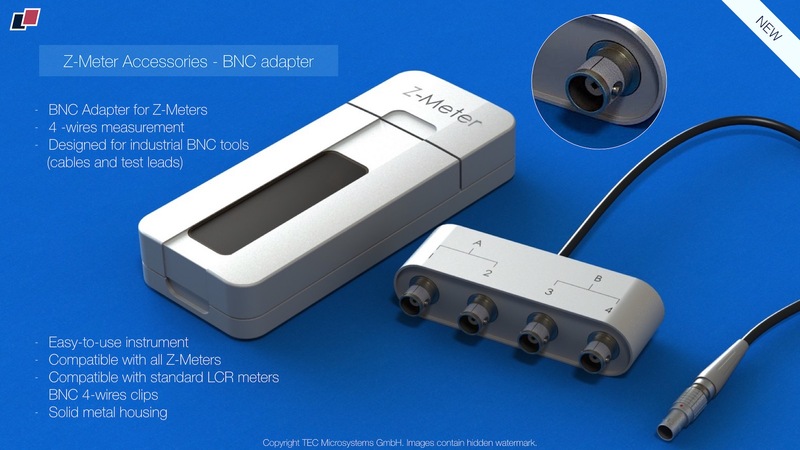 It uses the same measurement methods as standard DX4090 Z-Meter, measures directly three TEC key parameters (ACR, Figure-of-Merit and Time Constant) of separate and integrated thermoelectric coolers. 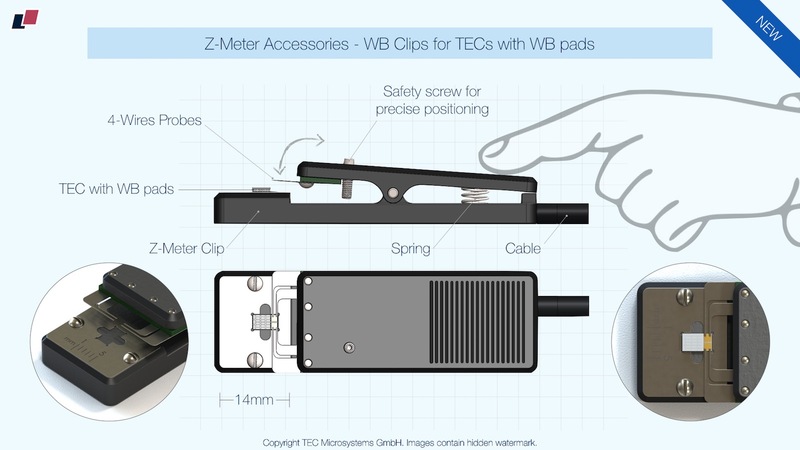 The device has miniature, pocket size form-factor and it's ideal for engineers and researchers dealing with TECs. 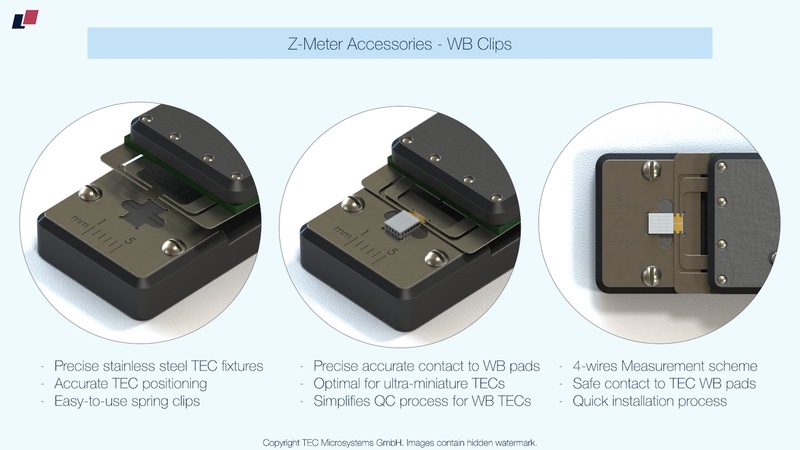 Due to small size DX4095 has only external measurement interface - external clips - connected to Z-Meter. DX4090 Z-Meter Standard. Laboratory device with constant PC connection required. 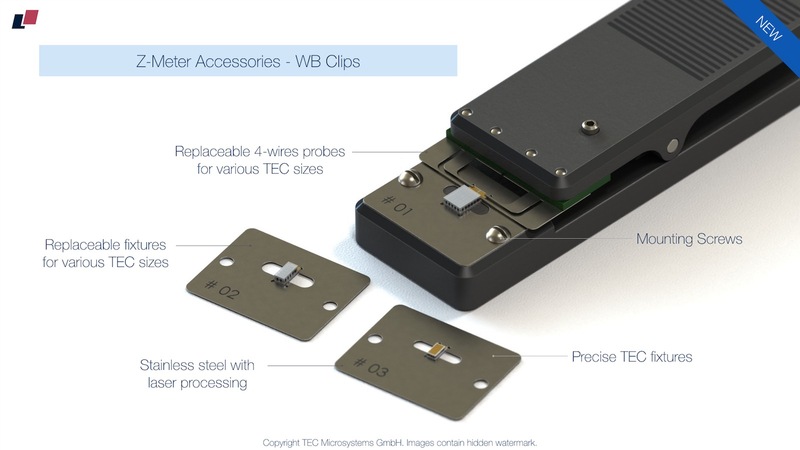 DX4090 has internal and external clips terminal connection for TECs. Solid metal housing with a cover works as a protective chamber for measuring of miniature sensitive TECs. Recommended for mid-size batch QC and R&D.